A #start-up has its ingredients- innovation, MTP- Massive Transformative Purpose, flat-line org driven towards finding a solution and building its eco system with new age information streaming! Driven to do what it takes to meet the MTP! I am proud about our newly launched ESCLUSIVE platform (Escorts Exclusive Innovations Annual Event), which will become our launch pad for innovative machines and solution platforms to create disruptive new solutions for the world of the future. 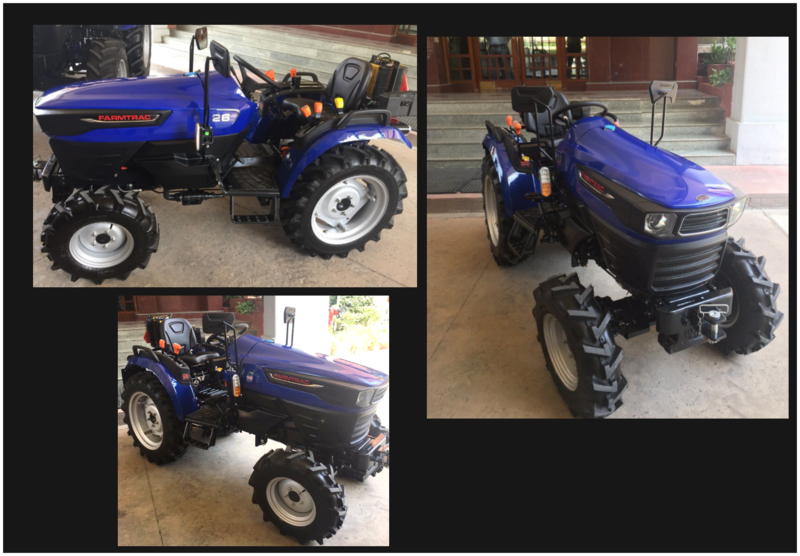 Last month, we launched our NETS, New Escorts Tractor Series along with India’s first electric tractor concept (pictures enclosed below). The #ElectricTractor looks elegant, smart and futuristic and we will launch this tractor very soon for the world! We have done the trials on the field and it works pretty well! We are building #Escorts more than just a company, more like powerful platform which will be driven around its MTP. For instance our MTP for our Agri Business is around the Farm 2050 – Food productivity to go up by 70% to feed 9.5 Billion people by the year 2050. We shall in the most humble manner contribute to global food production through innovative technology & solutions. The energy and passion is what drives each of us at Escorts today and we truly want a culture of a start-up again. We want to re-position and become a company which drives itself around future. The two disruptive projects we have already announced publicly, the electric tractor and launch of Escorts Crop Solution- a service for our farmers on a “pay-per-use” model (Been experimenting this for past 6 years- went public recently because we wanted to get it right first and establish the proof of concept). We have few more which are under the construct stage and we shall go public when we are ready! Some of the above projects are driven by few of our champions, our vertical heads…. But are also in-charge with an Exponential Business quotient, EXO changeover, and possibly will head these businesses (if they chose to head them) when they are launched along with ESOP’s ! Just the way we have done in for our crop solutions vertical! So everyone at Escorts is a leader in our eyes! I write today, because I believe all those who are reading my blog have an element of EXO trait in them! Find your way to rear it or be part of companies who showcase these opportunities or share your thoughts with us! But before sharing ,make sure that you are an EXO leader who has passion, hunger and want to disrupt the future. Write to me and share your thoughts!! If it’s exceptional, we will certainly fuel it.